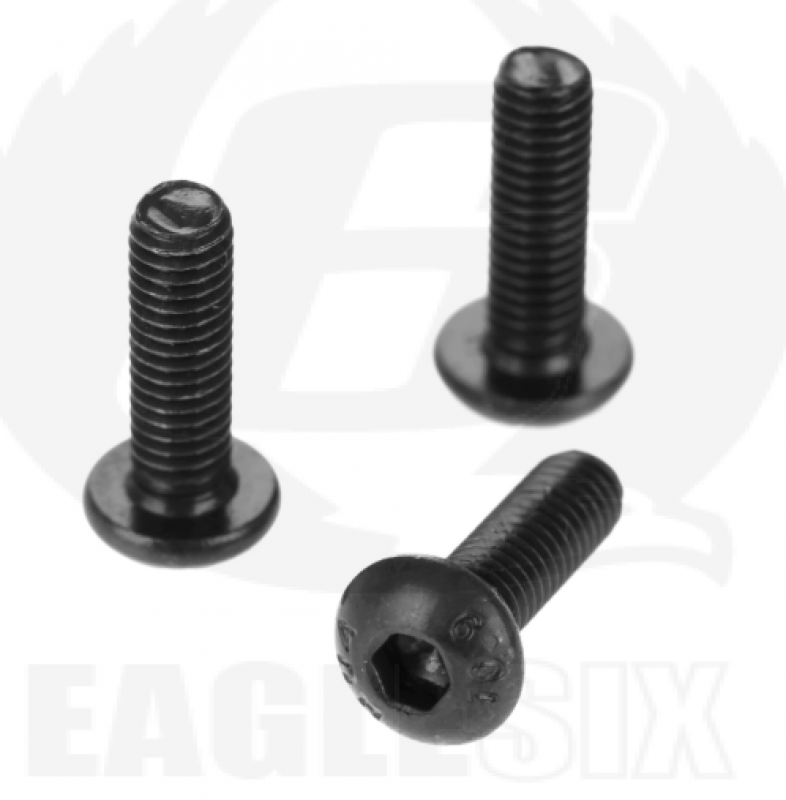 Generic M3x6 Alloy Steel Hex Socket Round Head Cap Black Screw (QTY 5 Per Pack) suitable for various airsoft applications. Part of the eagle6 workshop essentials range, these are used in our workshop. Listed on the website for others to buy and use rather than hunting round the internet.